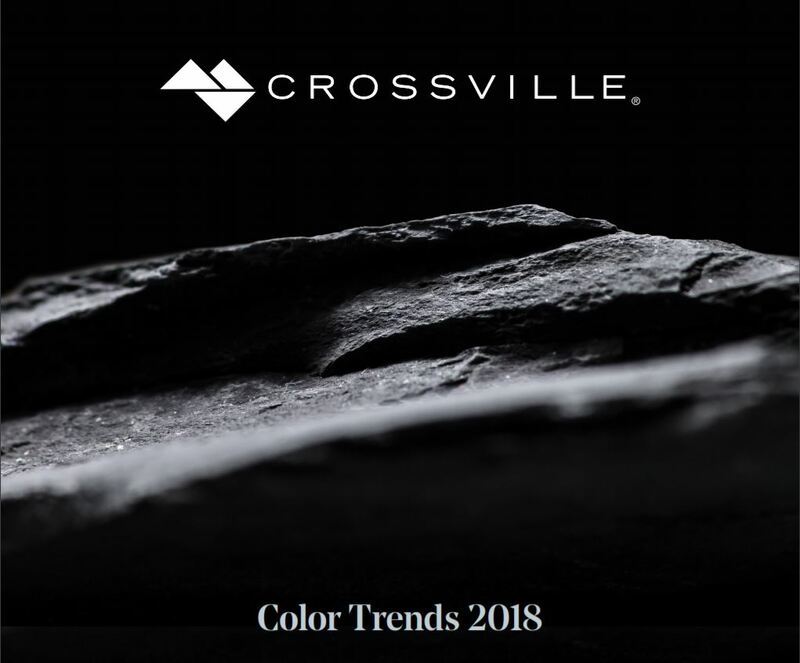 Crossville, Inc. has released its 2018 Color Trend Look Book, forecasting the use of black and rich, shadowy hues in commercial and residential design in the coming year. The engaging digital publication is now available for free browsing or downloading. In addition to visual inspiration for the 2018 color trend, Crossville’s publication includes quotes from an array of nationally recognized interior designers. To download the book and peruse Crossville’s fashion-forward collections in this stunning visual publication, click here. As the first tile manufacturer in Tennessee (est. 1986), Crossville is the leading American manufacturer of beautiful, sustainable solutions that advance the frontiers of tile design. From introducing the nation’s first large-format porcelain tiles, to becoming the first and only net consumer of tile waste materials (recycling more than producing), to developing cutting-edge performance innovations that turn mere surfaces into “breathing” living environments—Crossville is committed to pioneering products and practices that change the way the world views tile. A Curran Group company, Crossville is part of a family-owned, privately held corporation dedicated to building on the values of family, partnership, integrity, improvement and respect.